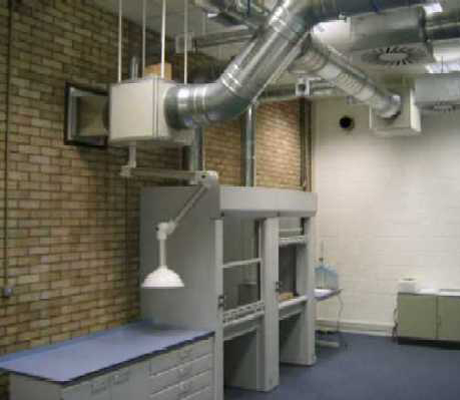 Our extensive research and development activities help to create innovative solutions in all areas of ventilation technology and air conditioning. In addition to planned development work for the individual product groups, there is an increased requirement for project-related testing and proving for our clients. 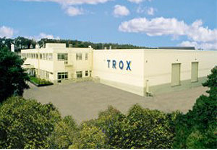 TROX UK’s purpose built testing facilities are equipped to enable highly accurate calibrated data that is used to optimise testing of systems, existing products and the development of new products and technologies. Extensive laboratory testing will enhance confidence in the system and eliminate onsite uncertainty. Each test is conducted in accordance with a brief agreed with the Design Team and if required, in line with the relevant EN testing certification. Attention to detail is of paramount importance and all aspects of the project test zone need to be replicated within the test cell. Once comprehensive testing has been carried out, a detailed test report together with video of the smoke visualisation is supplied to the Design Team. All instruments are calibrated on a regular basis and certified records are available for inspection. Any room module can be constructed within the dimensions and can incorporate either or both the viewing and control walls. The International Center Fire Protection is the new driver for innovation in the TROX GROUP in the area of fire and smoke protection.